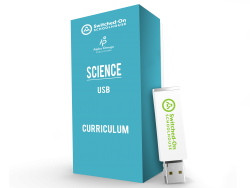 Give your homeschool child an understanding of physical science fundamentals with Switched-On Schoolhouse Integrated Physics & Chemistry. This Christian homeschool curriculum helps students observe the world around them with lessons on matter and changes in matter, motion and forces, energy and energy transfers, waves, electricity, and magnetism. Fun and informative lessons in this Alpha Omega curriculum include hands-on experiments, colorful graphics, and engaging multimedia tools. Offering step-by-step lessons, Switched-On Schoolhouse Integrated Physics & Chemistry covers important concepts like the structure of matter, motion, forces, energy, heat, electricity, magnetism, waves, and chemistry. Making teaching high school science easier, Switched-On Schoolhouse also has time-saving features like automatic grading, lesson planning, a built-in calendar, and a handy message center, so you can spend less time grading and more time teaching your child. Introduce physics to your homeschool student and order Switched-On Schoolhouse Integrated Physics & Chemistry today!